NASHVILLE, TENN. (November 13, 2018) — Already heating up Country radio with “Talk You Out of It,” BMLG Records’ FLORIDA GEORGIA LINE amplifies the sensual sentiment with the world premiere of their new single’s video exclusively on Apple Music today. 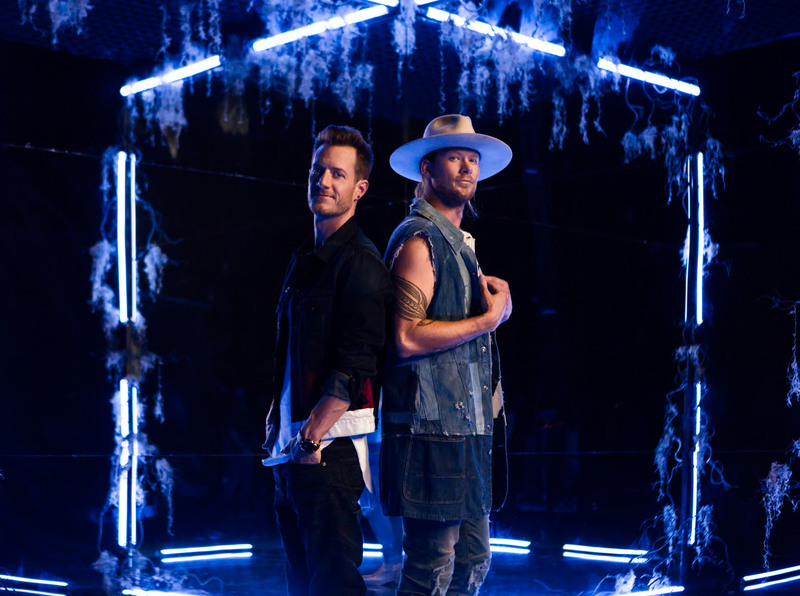 Filmed in Los Angeles, under director Justin Clough, FGL’s Brian Kelley and Tyler Hubbard invited their wives – Brittney Kelley and Hayley Hubbard – to co-star in the clip, adding a dose of genuine seduction to the frosty atmosphere. The intimate scenes complement the smooth come-on lyrics penned by HARDY, Hunter Phelps, Jameson Rogers and Alysa Vanderheym. Apple Music subscribers can watch the steamy cinematography unfold here. Nominated for Vocal Duo of the Year plus Single of the Year and Musical Event of the Year for their 4X PLATINUM-certified “Meant to Be” with BEBE REXHA, the global entertainers will unite onstage at The 52nd Annual CMA Awards tomorrow (11/14). Airing live from Nashville, fans can tune in beginning at 8/7c p.m. on ABC to catch their performance of the history-making collaboration, which has claimed the Billboard Hot Country Songs chart for 50 weeks straight at #1. Next month, FLORIDA GEORGIA LINE LIVE FROM LAS VEGAS electrifies Zappos Theater at Planet Hollywood Resort & Casino for five-nights-only starting December 1. Introducing fresh tracks from their long-awaited fourth studio album and their career-defining chart-toppers, the anything-goes party kicks off with CANAAN SMITH and MASON RAMSEY nightly. Additional details and ticket information is available here.